Is this normal in Belgium? In most events not. Problem is that Condroz attracts enormous crowds and the organizers cannot handle them. Pretty much like Rally Poland for example. What you saw there also isnt normal in other Polish events. Wow, some really dangerous spots folk are stood. 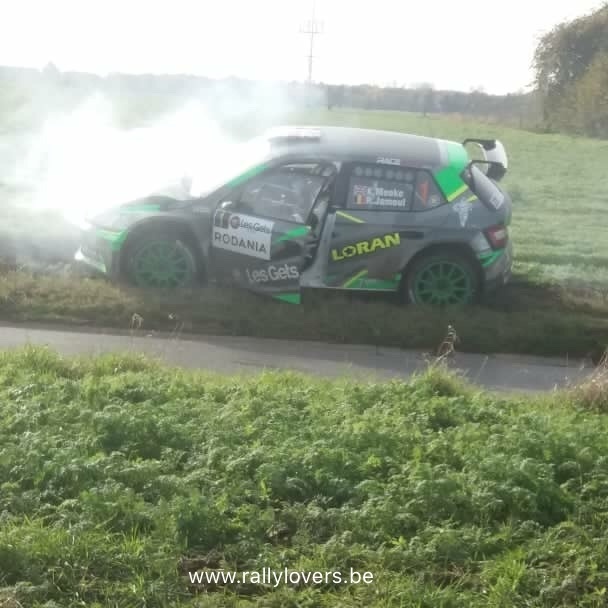 Great round for advertising Citroens though, well done Lefebvre on taking on the locals; hope to see him back in Ypres with that C3 next year. So the theory from belgium is that one of the mechanics in the team tried to cheat with fuel and put some additives into Meeke's fuel which destroyed the engine. Anyone has more info? Sounds a bit crazy to me. First thing I heared about that. Car came from Metior btw. LOL. I really cannot imagine that, especially as it's an Italian team. I think it is very likely that the team (Metior Sport) made a very cheap price for Meeke, to be able to promote their team/cars. The car was completely rebuilt before the event. It's interesting to note that in Belgium all teams must use the same fuel (https://gutts.be/product/hiperflo-tu...v2-refuel-brc/), which is Carless Hiperflo. So mapping has to be changed for the fuel they use, maybe it wasn't perfect? However 2 other Metior cars were competing and they both finished without issues. In an interview on stage just after his retirement, Meeke said "we don't know the cause, but it looks like IT has dumped all the water." I think the reason for retirement is broken radiator, which can be caused by some impact. +-2km before he retired, he had this moment (video: https://www.facebook.com/nathan.blan...7942260528428/) where he went off in a field but was able to continue. He didn't visibly hit something, but in the past we've seen it doesn't take much to perforate or crack a radiator... So the story you heard is almost certainly made up by someone who has a lot of fantasy. I was there, the smoke was already there on the straight before this corner. From the photo it looks like a white smoke, i.e. likely a coolant. I don't believe the story about the fuel either. Imagine if that happened on one of the places where spectators were right next to the road on the outside of corners.